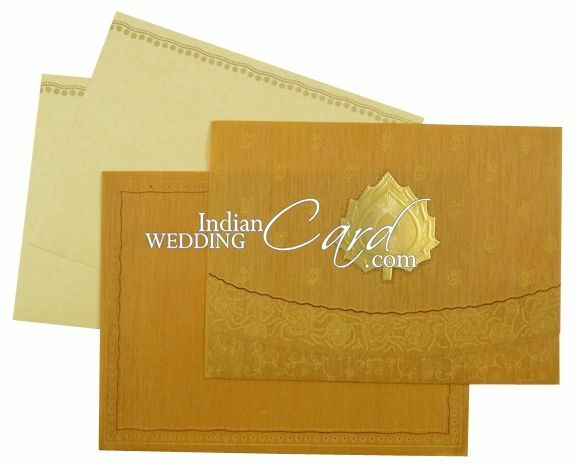 D-580, Yellow Color, Light Weight Cards, Designer Multifaith Invitations. 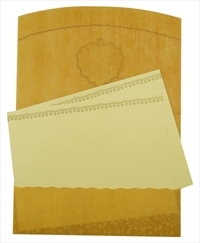 The front of his card has floral base in cream with an intricate floral motif composition border and the paste up has self-embossed border and a heart, it also gives u space for your symbol of choice. The lower fold has a floral base in cream. 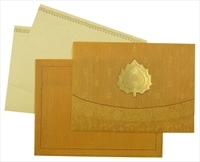 The inserts have golden border design and the envelope has golden and red border design. Silk Screen Printing in color matching to card front.